Few people get called “geniuses,” and even the few that do are cursed to reach the point at which they stop being treated like one. Different artists, consciously or not, have found ways of avoiding this, or of not giving a damn. Some, like Bob Dylan or Neil Young, are restlessly productive, always moving forward (it also helps, in their case, that their albums continue to garner critical praise late in their careers). In the case of figures like Stevie Wonder or the late Prince, their talent as performers and musicians, seemingly undiminished even in their older years, ensures continued appreciation of them, even absent the release of new, critically-acclaimed recorded works. 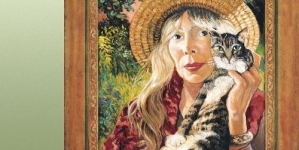 In Joni Mitchell’s case, by the time the ‘00s came around, she had already spent decades no longer being treated like the genius she had once been proclaimed to be. Her late ‘70s output had already come under criticism, her ‘80s work was dismissed and even ridiculed, and her ‘90s production remained (and remains) underrated. 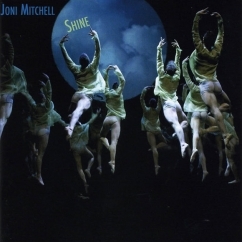 In 2007, nearly 20 years after her last batch of original songs, Taming the Tiger, was released, Mitchell put out her final album, Shine. 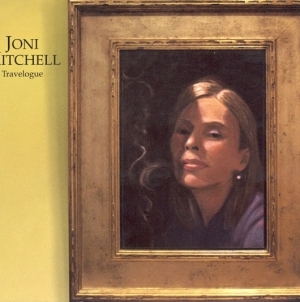 Joined by former husband and longtime collaborator Larry Klein, as well other session pros like Greg Leisz on pedal steel, jazz players Brian Blade on drums and Bob Sheppard on sax and James Taylor as a guest playing guitar on the title track, Mitchell brought her recording career to a close with a remarkably strong set of songs. Opener “One Week Last Summer” is an evocative, jazzy instrumental that serves as a painterly overture to the album, as though Mitchell were testing out her musical brushes, each instrument assigned a shade. Throughout, the music is somewhat eclectic, yet the album as a whole feels and sounds cohesive. There are songs driven by Mitchell’s recognizably syncopated guitar playing, theatrical songs with lush arrangements, mournful, jazzy piano-based songs, sequenced beats, world music influences, and atmospheric, almost New Age-y sounds. 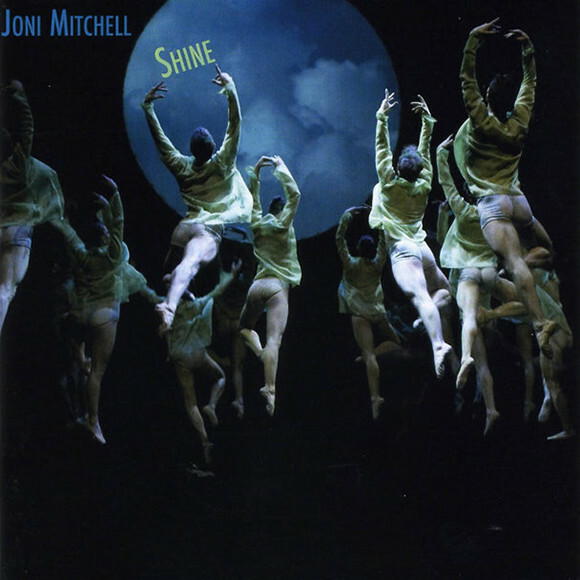 Perhaps as a result of the time elapsed between Taming the Tiger and Shine, the listener gets the sense that these different combinations of sounds had been simmering for some time, being digested by Mitchell’s musical consciousness until they could come to fruition with the right set of lyrics. 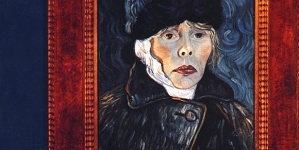 At times, Mitchell dares too much and the material works against itself. There is an unnecessary “coffehouse” remake of “Big Yellow Taxi” (perhaps an effort to reclaim a song that had gotten so famous it no longer seemed to truly belong to her), and on a song like “Hana,” with a jungle beat, compressed guitar stabs, jazzy woodwinds and generic “world” feel, the production is overkill. A song like “Night of the Iguana,” by contrast, works much better with some of the same elements, hanging together as an arrangement more effectively and harkening back to her late ‘70s work. But these few imperfections aside, there is much to love on the album. “This Place” is a loving tribute to nature and landscape and a call to recognize the importance of preserving it. Here the musicians sound their most together, gracefully waltzing around each other and trading melody lines. 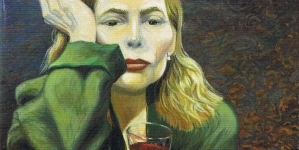 Much of the album, as heard on songs like “Bad Dreams” and “If I Had a Heart,” two of the most affecting on the album, finds Mitchell looking out onto a world she no longer recognizes, and mourning some of the changes that have transpired, especially those by human hands: “Holy Earth, how can we heal you?/ We cover you like a blight,” she sings on one song. 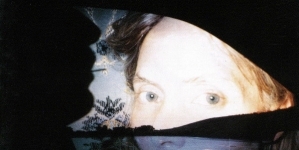 Or, in one of most powerful lines on the album—“There’s so very little left of wild Eden Earth/ So near the jaws of our machines./ We live in these electric scabs./ These lesions once were lakes.” Even on the title track, with its seemingly hopeful refrain to “Let your little light shine,” Mitchell is unsparing throughout, detailing the misery and suffering that seems to overrun the planet. Ending the album by setting a Rudyard Kipling poem to music, Mitchell sings of finding the inner reserves to stay true in a world less and less hospitable to truth, beauty, nurture and wonder. In some ways, it is a summation of her musical mission, and a memorable adieu from one of American music’s giants. We need her still, and we are lucky to have her, at least for now.